9:45am | Science-fiction writer Ursula Le Guin once said “It is good to have an end to journey toward, but it is the journey that matters in the end.” Dogs would agree that riding in a car and going for walks are terrific ways to journey, but if the hero of A Dog’s Purpose could speak beyond “Ruff!” he’d say that doggie treats, a good sleep and a chew on Mom’s new Steve Maddens aren’t ends to journeys but mere stopping points along the way to an overarching purpose. When Sachi Matsumoto at Apostrophe Books on Second Street suggested that we review W. Bruce Cameron’s A Dog’s Purpose: A Novel for Humans, I wasn’t enthusiastic. I’d read All Dogs Go to Heaven (Beth Brown’s 1944 tear-jerker, not the animated film) as a kid and still choke up whenever I read the Rainbow Bridge, but enough’s enough—I don’t want to roll over with Rover in a cloying pile of New Age fiction. Then, I picked up the book and couldn’t put it down until I’d finished it. Whether Cameron’s story is interpreted as a series of karmic lessons for the dog’s soul, as a guide for the stewardship of all animals or as a tale of everlasting unconditional love between dogs and humans doesn’t matter. Cameron said that a book is successful if it resonates with the reader in any way, and he stressed that he did not go about writing this book to force-feed a point of view or preach a lesson. A Dog’s Purpose is effective and striking in that Cameron has masterfully and convincingly communicates to the reader written from inside the canine psyche, much as a sociologist communicates to “civilized dwellers” about living in a yurt for a year with Mongolian nomads. Blessedly, the protagonist—for the purposes of this review purpose, we’ll refer to him by his most beloved name, Bailey, because he’s had as many past lives and identities as Shirley MacLaine—does not talk or take on human characteristics. Cameron developed Bailey’s forever innocent dogs-eye view through his knowledge that a dog’s vocabulary is limited to several words and that he or she perceives the world through impressions and pictures. Bailey’s “voice” is so uncannily convincing that the reader’s emotional reactions to such things as death, loss and bewilderment over the actions and deeds of human beings will be tempered by Bailey’s perspective and even experienced as a canine might. There’s not a clue of anthropomorphism in A Dog’s Purpose; Albert Payson Terhune would read like Beatrix Potter by comparison. Bailey lives several good dogs’ lives trying to figure out his purpose. 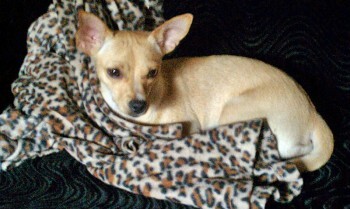 As Toby, he lives in a rescue after he is found and named by “the señora” and her two assistants. In his next life, he becomes first Fella and then Bailey when he’s yanked from an overheated car by an indignant woman, who brings him home for his family. It is here that Bailey begins his real awakening to his purpose: in the blanket of warmth and true love with his soul mate, young Ethan with whom he lives a long and adventurous life before passing on. And his passing takes place only halfway through the book. If you don’t want to read a book in which the dog dies in the end, it’s okay—you’ll be comfortable with it by the second time the hero leaves the literal building. Within every lifetime, Bailey enjoys a number of Casanova moments (“I seductively peed on a mound of dirt before joining them to sniff politely at their rear ends”); understands that whether she’s kept in a crowded filthy cage in a puppy mill or has a coddled purebred life, a mom is a mom and is resigned to letting go when it’s time; is altered a number of times (the “stupid cone collar” is, hear me, a recurring thread); and deals with abuse from both people and other dogs who are “broke inside” as one of the assistants in the rescue described a vicious dog who had been bred to fight. “There are no bad dogs, just bad people,” responded the rescuer. “They just need love.” And we find this out later in a simple way, with no mush or gush. There are lessons, indeed. Bailey is allowed to recall his previous existences and to extrapolate his experiences from one life to another to not so much develop good karma (although “good dog” seems to be his word for that) but to figure out his purpose. Whether that’s love, being a good dog, protecting and comforting humans, or peeing on the newspaper, Bailey will realize what it is. The question I was left with is whether we beloved human readers deserve such adoration, and if we can apply what Bailey has learned to even approach being what our dogs (and the occasional cat) see in us. 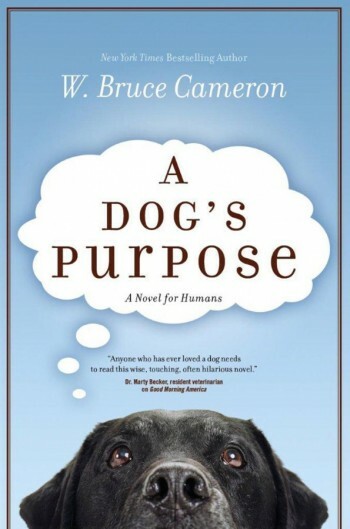 W Bruce Cameron will be signing copies of A Dog’s Purpose at Apostrophe Books, 4712 E. 2nd St., Long Beach, CA 90803 Saturday, Sept. 4 from 3:30-5:30pm. Jane Doe may look as if she has the life of Paris Hilton now—and deserves it—but she was rescued from a horrendous situation by two people along the LA Riverbed. Someone had hogtied her and was attempting to drown her. That creep escaped, but the dog was saved. She’s about 1 year old and is good with her foster’s dogs and my cat. She is affectionate, not a big barker, loyal, and playful. She’s been vet-checked, dewormed, vaccinated and spayed. She’s now under the loving umbrella of Animal Match Rescue Team (AMRT). 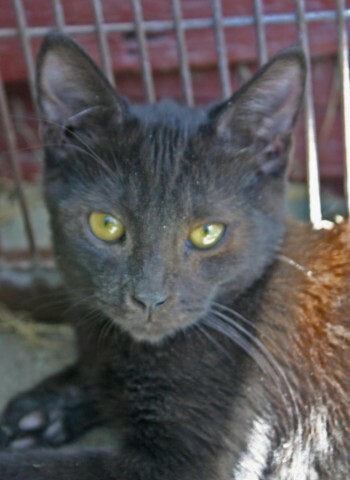 Contact [email protected] or [email protected] to adopt her or check the Web site. Milo and Louie are two kittens rescued from a hoarding situation. They have been neutered and are ready for a loving home. Contact [email protected] if you can provide one or know someone who can. Back in April, there was a huge outrage over the near starvation by his owner of a German shepherd named Bosco. The owner, Kimberly Nizato, is facing charges of felon animal cruelty this month, and the less attention give her, the better. But, the good dog is happy, now. His name is now Courage and he lives with a loving family, has a canine sibling, and has gained plenty of weight from eating good, rich healthy food instead of the rocks and dirt he was forced to dine on when there was nothing else available to him (see Press-Telegram story). You can now buy a calendar that shows Courage’s steps to health, all of whose profits will benefit dogs like Courage at the German Shepherd Rescue of Orange County. For information, visit Courage’s Facebook page. Friends of Long Beach Animals presents the 10-10-2010 WALK & RUN for the Animals from 7 a.m. to 2 p.m. at Marina Green, off Shoreline Drive and Linden in Long Beach. A 2K/5K walk and a 5K/10K run supports animal welfare and the theme of Life Safety for Pets and People. Enjoy pet demonstrations, multicultural entertainment, PETCO booth with featured dog adoption, vendor samples, dog yoga specialist, raffles, prizes, costume contest, and more. All proceeds fund low-cost spay/neutering, humane education and medical bills for shelter animals. Take advantage of free downtown transportation and limited $1 event parking at Marina Green. Registration begins at 7 a.m. and includes a T-shirt and doggie bag while supplies last. Register, volunteer, and donate at this site. 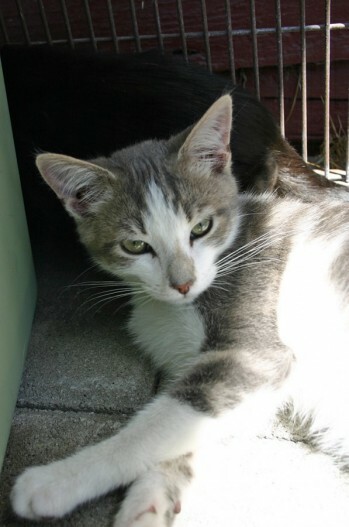 Volunteers are needed now–we could use a helping paw! For more information, call (562) 988-7647. Visit us on Facebook!